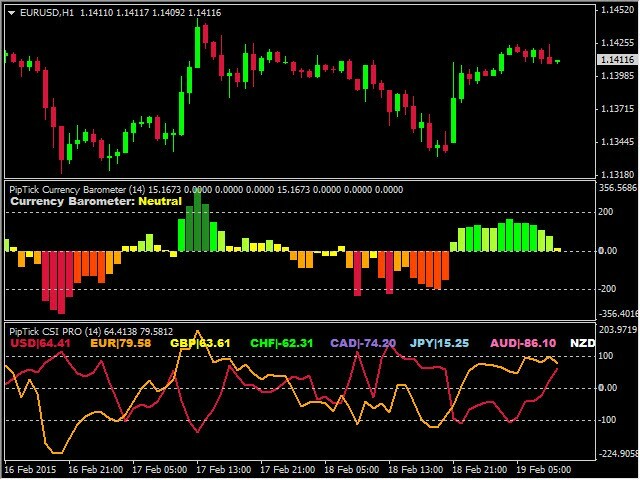 PipTick Currency Barometer is one of our most favorite indicators. It measures the strength of two currencies represented in the pair and compares the difference between them. 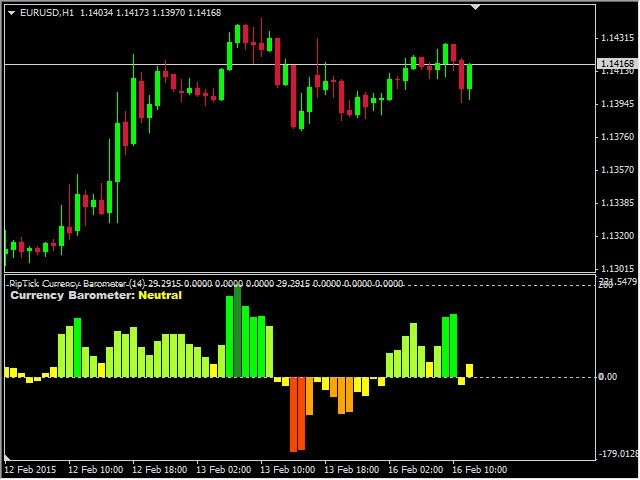 The result is shown as a histogram where you can simply identify which currency is the strongest. 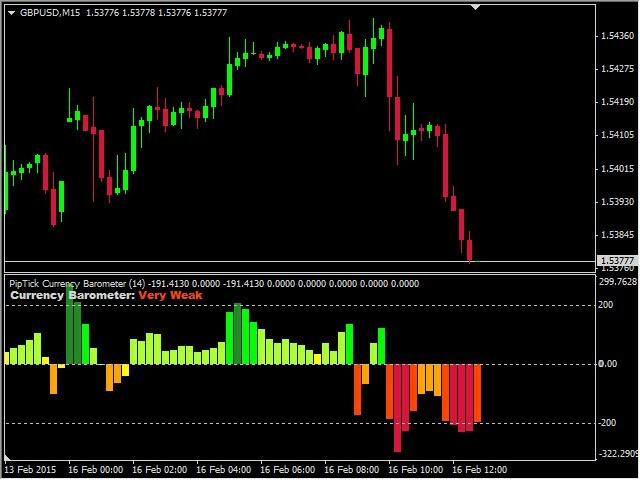 This indicator is designed to measure the strengths and weaknesses of eight major currencies (USD, EUR, GBP, CHF, CAD, JPY, AUD and NZD) and works on 28 currency pairs. 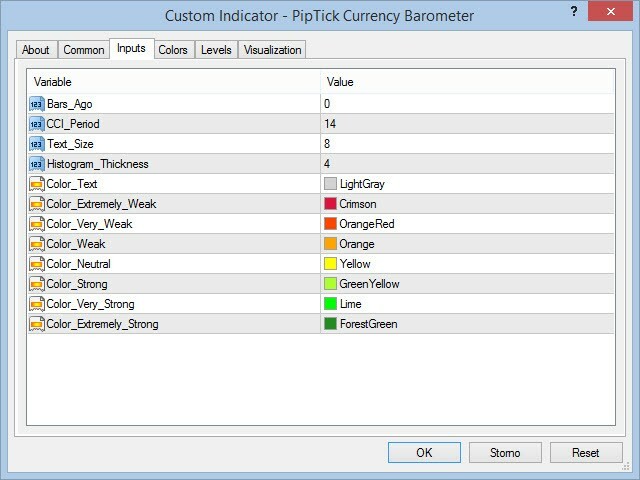 The PipTick Currency Barometer uses CCI method (Commodity Channel Index) for calculating the strength and weakness of currencies. Because the PipTick Currency Barometer compares the first currency in the pair against the second one, it is better to use a sophisticated scale. 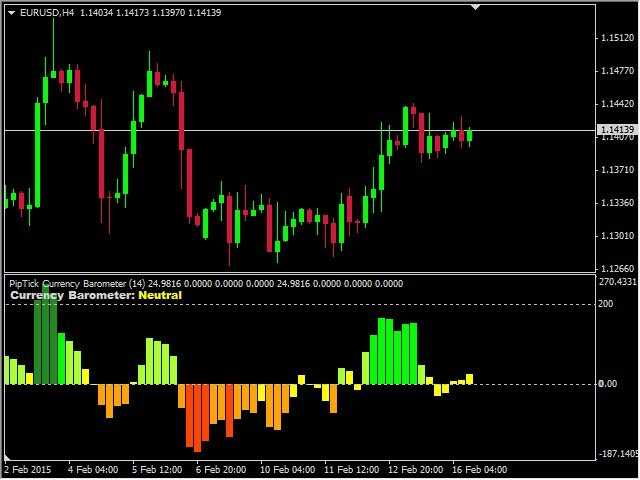 How to Use the PipTick Currency Barometer? 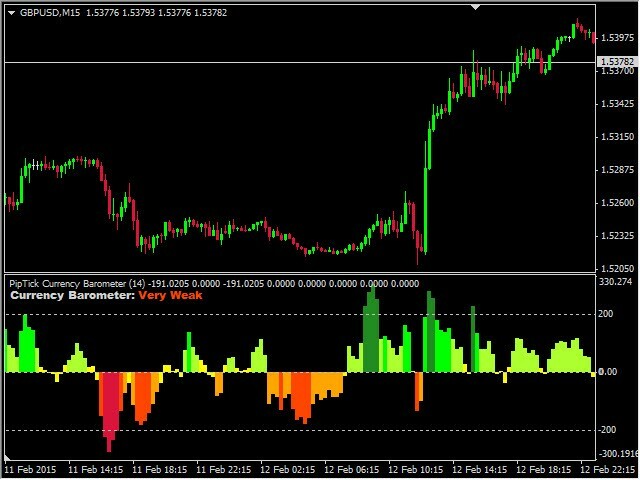 We are sure that there are many ways to use the PipTick Currency Barometer. 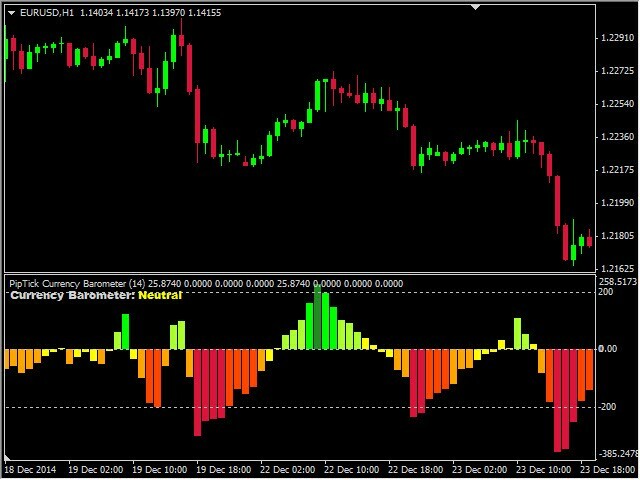 For example, you can trade divergences between the price and the indicator. Of course, you can also trade the classical trend strategy - buy a strong currency and sell a weak one. However, never use this strategy, if barometer is in the extreme zone. Conversely, this is often an opportunity to trade in the opposite direction (reverse strategy). 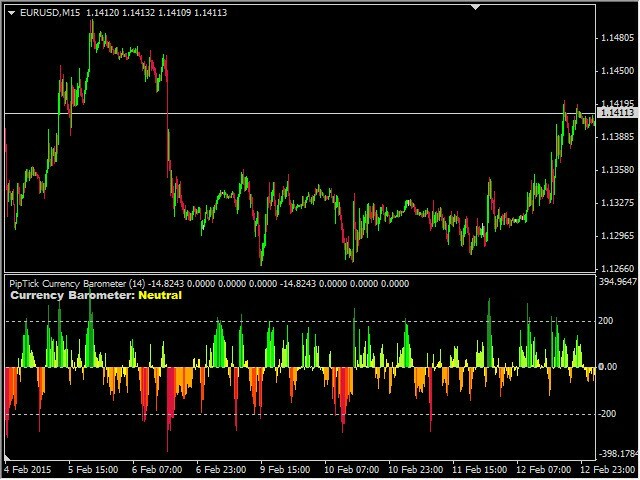 For more information, visit PipTick Currency Barometer product page.